Groupama sailing team (Franck Cammas/FRA) are keeping up a relentless pace towards Auckland, although a close encounter with a merchant ship yesterday nearly put paid to their much-anticipated leg win. 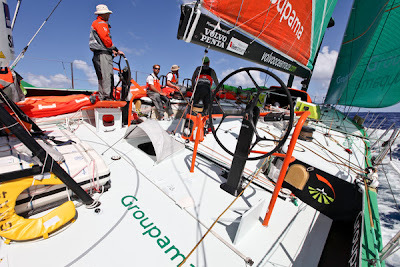 The Groupama crew had to scramble to avoid the ship, which was on a collision course with the racing yacht overnight. 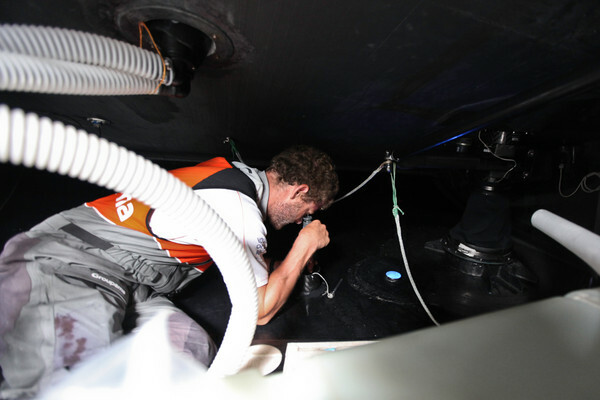 Disaster was averted when the vessel altered course at the last minute, however the vigilant French crew had been ready to take avoiding action if needed. At 0700 UTC this morning, the Groupama were reaching in east north-easterly breeze at 17.7 knots, while the rest of the six-boat fleet racing in Leg 4 of the Volvo Ocean Race from China to New Zealand suffered heavy losses as their wind became fickle and unstable. 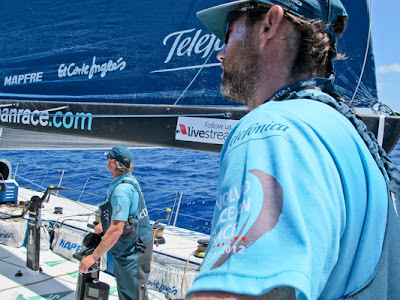 By 1000 UTC Cammas’ crew had pulled out a lead of 138.4 nm on the fleet, which was spread over 406 nm from Groupama in first, to Team Sanya (Mike Sanderson/NZL) in sixth. 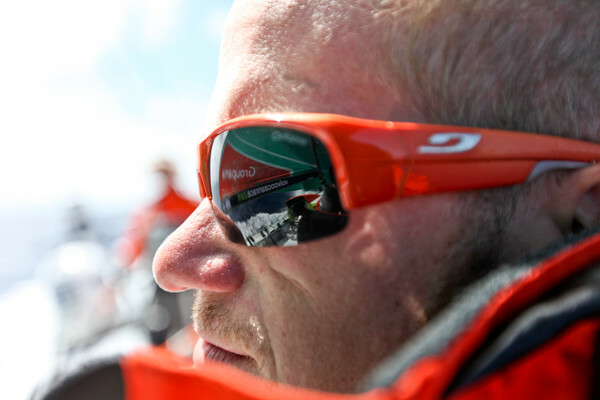 Abu Dhabi Ocean Racing suffered the most. “We have spent all day fighting to escape a huge cloud and no wind that spun up to leeward of New Caledonia. 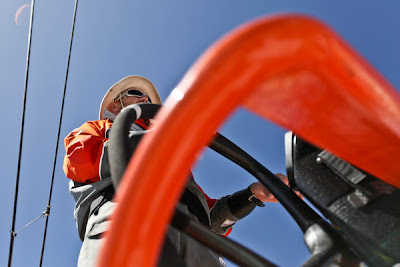 Groupama and PUMA (Ken Read/USA) sailed on without missing a beat and we lost 100 miles at least,” wrote skipper Ian Walker early this morning. At 0700 UTC the Emirati team was 340 nm off the lead. At 1000 UTC the fleet had all made small gains as Groupama’s average speed dropped to 14.6. The speed of the chasing pack increased to between 15.8 knots for Team Sanya and 13 knots for CAMPER with Emirates Team New Zealand (Chris Nicholson/AUS). Groupama’s final approach to the turning point of Cape Reinga will be upwind in fresh to strong winds of 20 – 25 knots due to wind gradient reinforcement between a southern high-pressure and a weakening low. The team can expect the wind to veer east south-east by the end of the today and to head tonight when they are in the range of the northern tip of North Cape. The question facing the French team will be whether to tack immediately onto port or whether to stand on. They will certainly show a loss of several miles on distance to finish when they make this manoeuvre, however the over 100 nm margin should provide a good enough buffer to protect their lead. 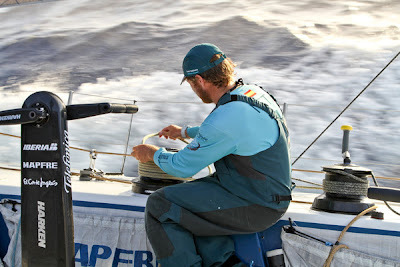 Strong tidal currents, rough seas and wind acceleration around the cape could also slow the team as they race close in to the coast. After a 48-hour beat down the south-eastern side of New Zealand to Cape Brett, it will be an exciting close reach for the final 100 nm towards the finish line and the cheering crowd in Auckland. Current predictions suggest a finish time of between 0600 – 1200 UTC on Saturday.